The Ruger LCR double-action revolver is great for concealed carry. The hammerless design prevents snagging when drawn from a holster. The 5-shot .38SPL+P revolver packs plenty of punch. 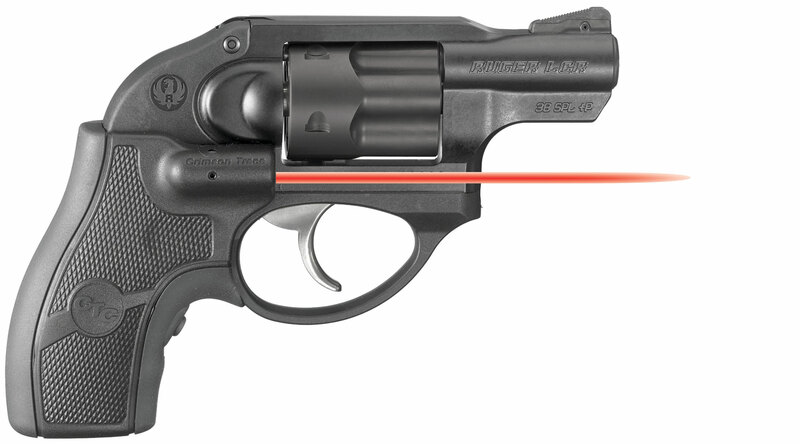 The rubber grip makes this gun very easy to control, but the LCR is also offered with a Crimson Trace lasergrip.